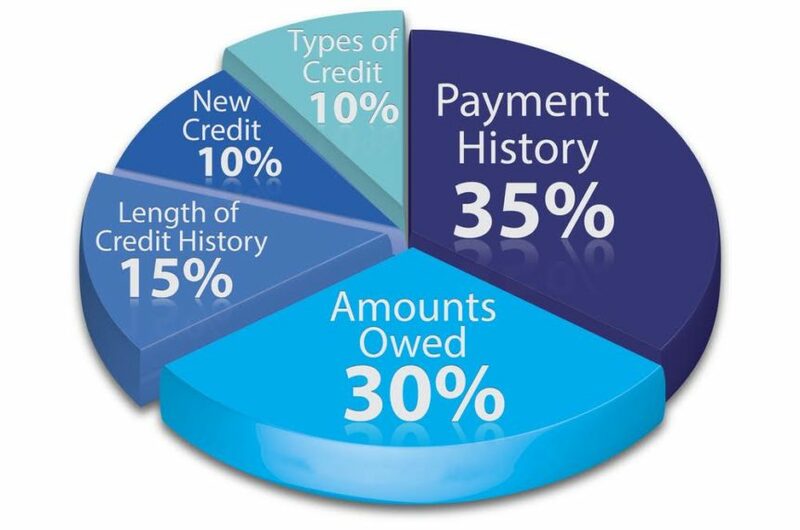 Your fico score typically ranges from 300 to 850. Your credit score is generated based on the information in your credit report. Fair Isaac is tight-lipped about exactly how the scores are calculated. 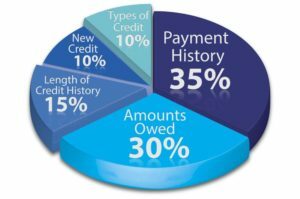 But they do give the weights of various criteria that they look at: 35% payment history, 30% amount owed, 15% length of history, 10% new credit, 10% types of credit used.